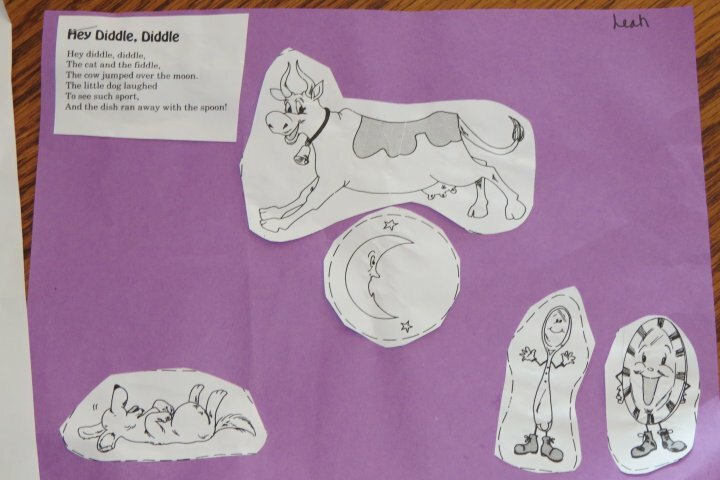 My daughter brought home the Hey Diddle Diddle nursery rhyme paper pictured above from preschool yesterday. She loves the nursery rhymes and to be honest, if I am going to read something to her, I'd rather it be a fun, flowing Mother Goose lyric than those awful Dora books she likes so much. There are so many different activities you can do with rhymes like this. 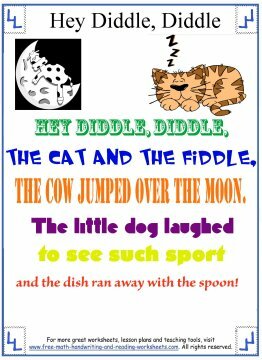 Below are a few worksheets you can use at home or in the classroom to introduce your child to the nursery rhyme "Hey Diddle, Diddle". While your child is busy cutting, coloring, and listening, he'll be working on fine motor skills, speech sounds, and vocabulary. The first worksheet has the lyrics to Hey diddle, diddle. 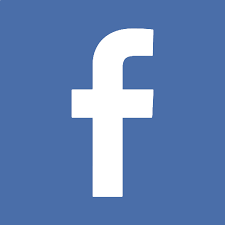 This is a great chance for you to read with your child. Be sure to point out sight words like 'see', 'little', and 'over' to your child. 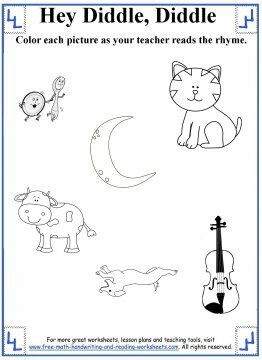 You can also find sight words worksheets at the bottom of this page. 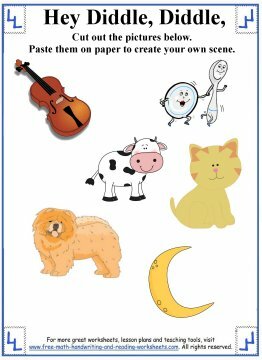 The next worksheet is one that your child can cut out and then glue on to a sheet of construction paper to create his or her own nursery rhyme scene. 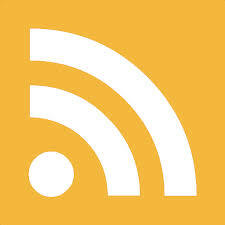 You can paste them onto construction paper as shown in the photo above, or glue them to Popsicle sticks and reenact the nursery rhyme as you read it together. The last paper is a simple coloring page. Once your child has colored all the objects, she can cut them out and make her own Hey Diddle, Diddle scene. 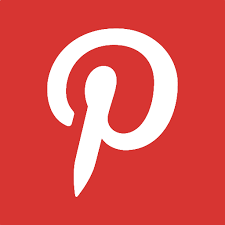 Thumbnails link to my Google Drive where you can print or download your worksheets.